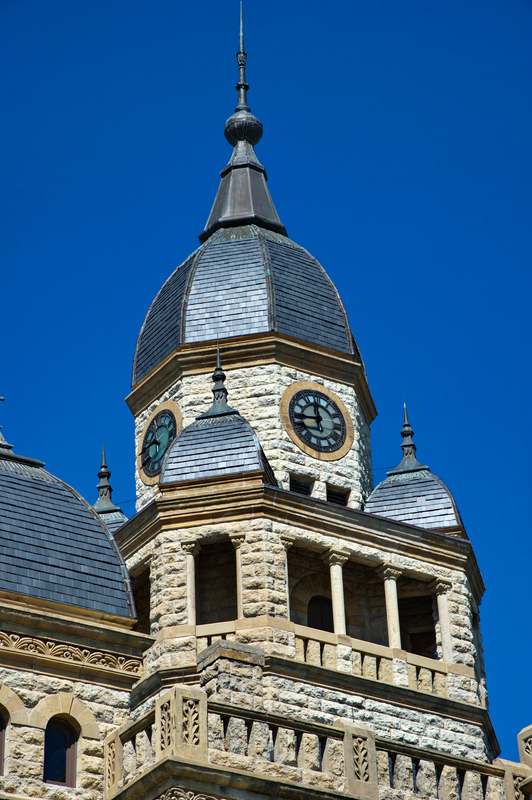 The 1896 Denton County Courthouse was designed by W.C. Dodson and is a blend of Romanesque Revival and Second Empire styles. 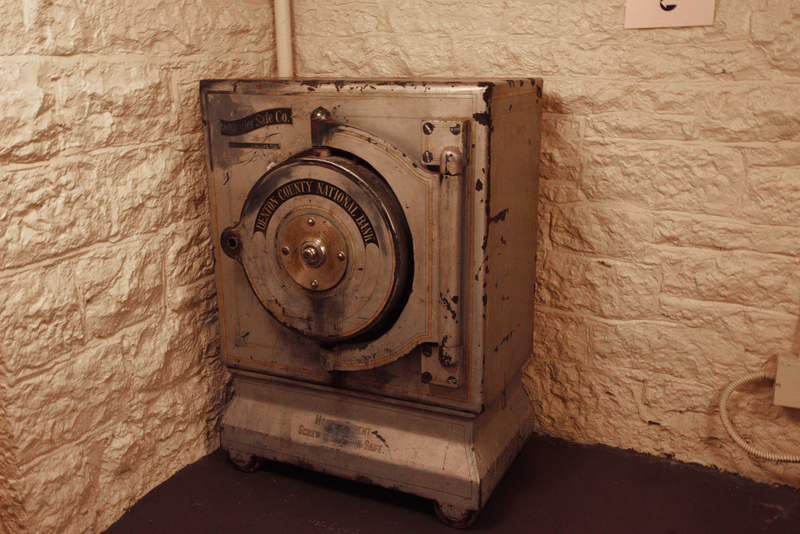 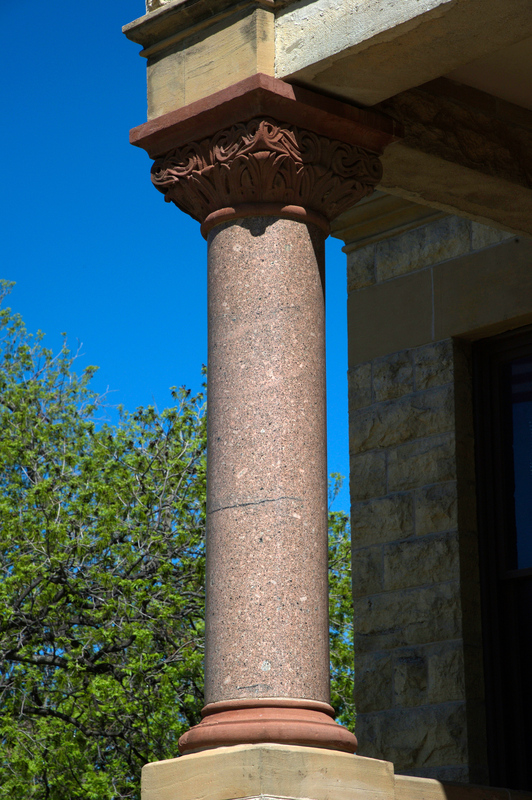 The building is constructed of granite, sandstone, and locally quarried limestone. 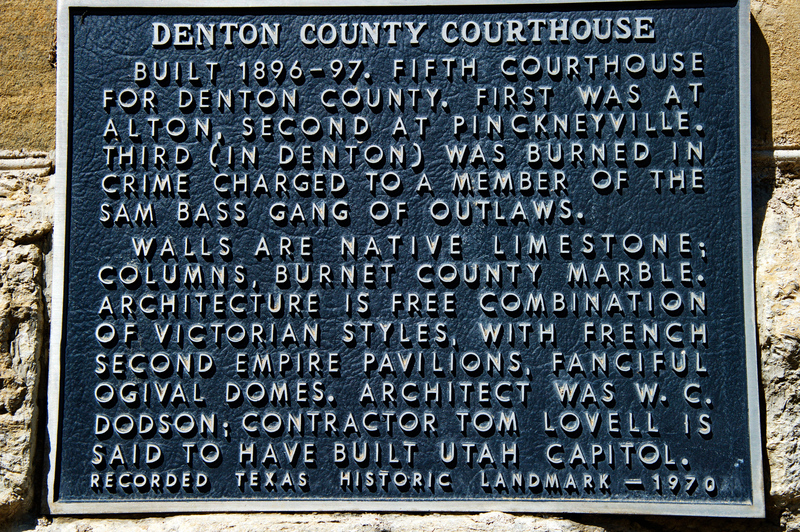 The building was substantially renovated in 1987; however, the soft limestone and sandstone continued to deteriorate. 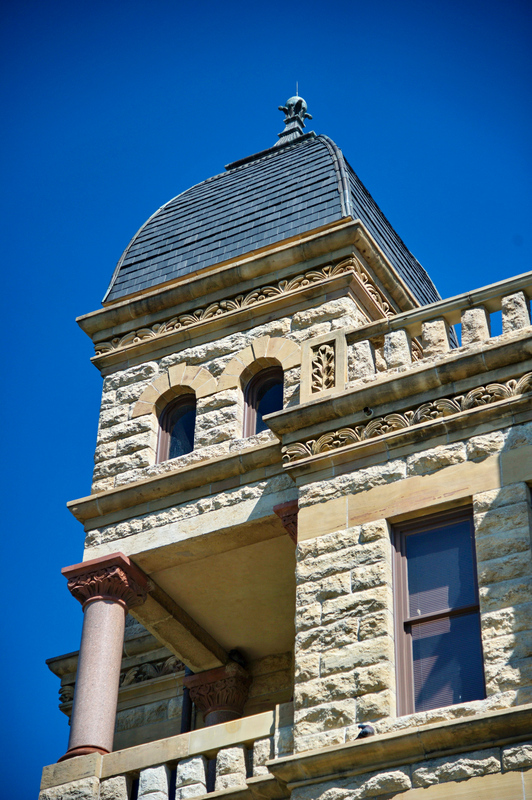 The more recent restoration focused on restoring the exterior masonry and repairing the slate roof. 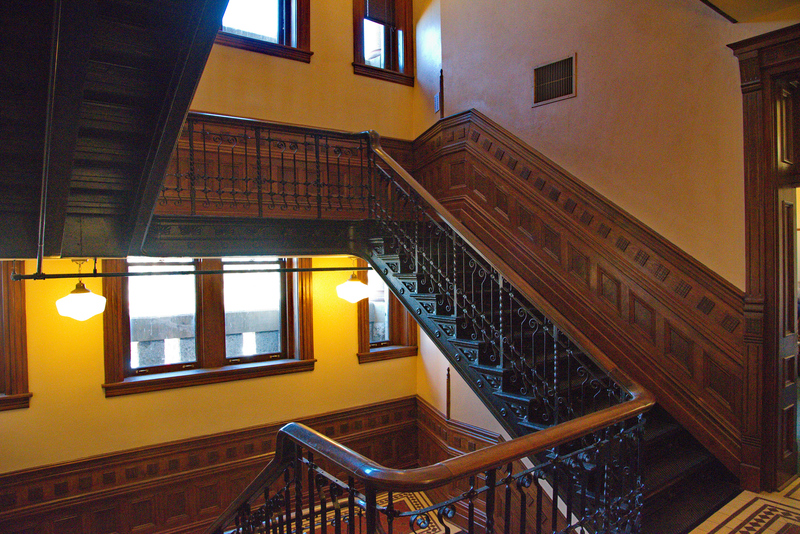 Poorly constructed replacement windows were removed and new high quality wood windows were installed to match the original design. 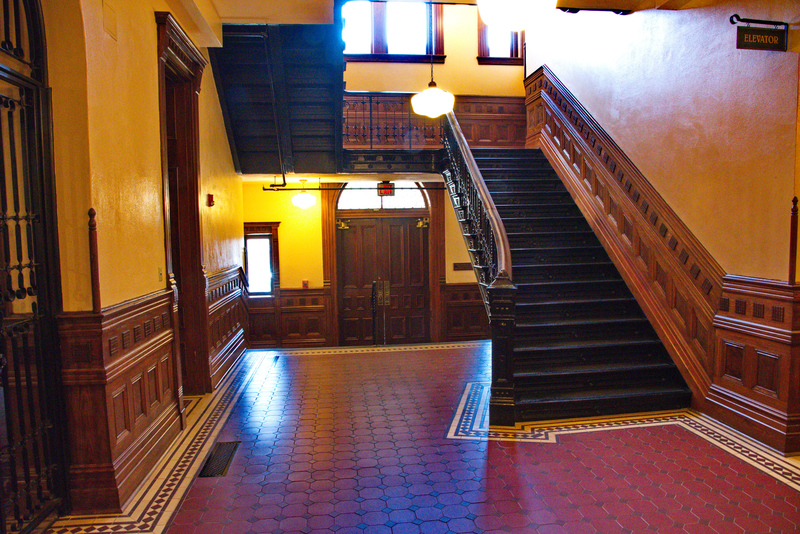 The building's public corridors were originally floored with patterned, unglazed ceramic tiles and were restored as part of the project, which was completed in April 2004. 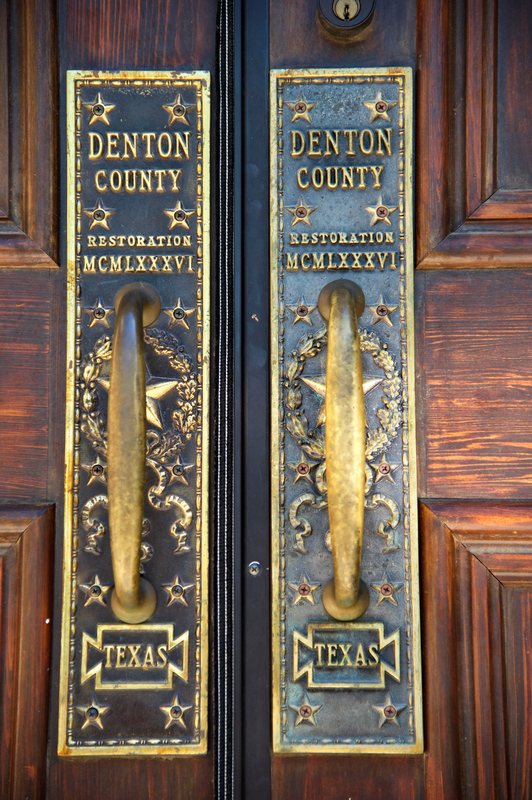 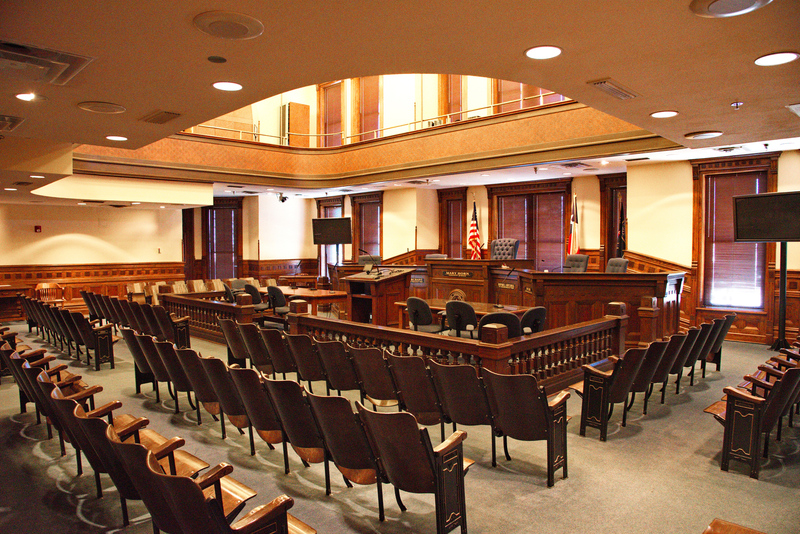 The courthouse was rededicated on November 6, 2004. 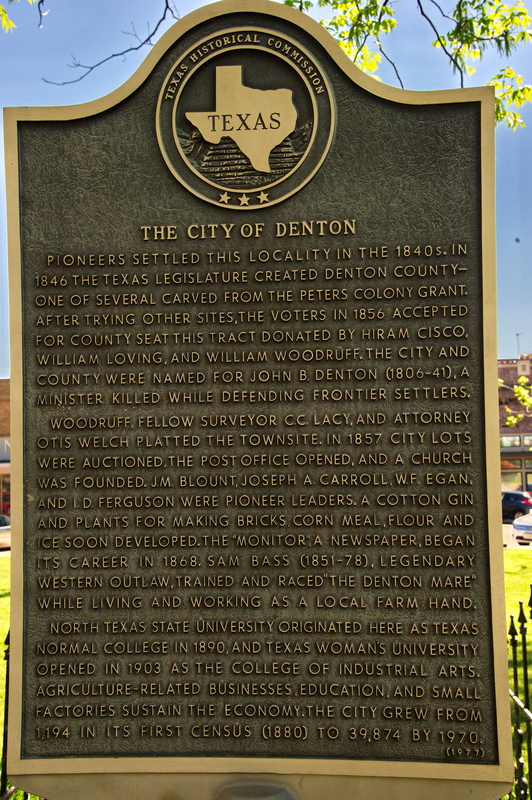 City of Denton historical marker. 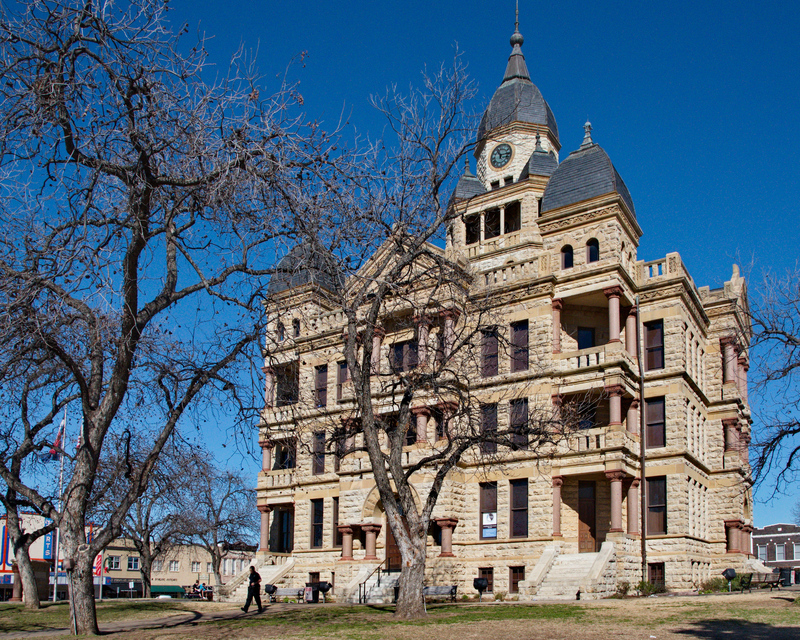 Photo: Wayne Wendel.